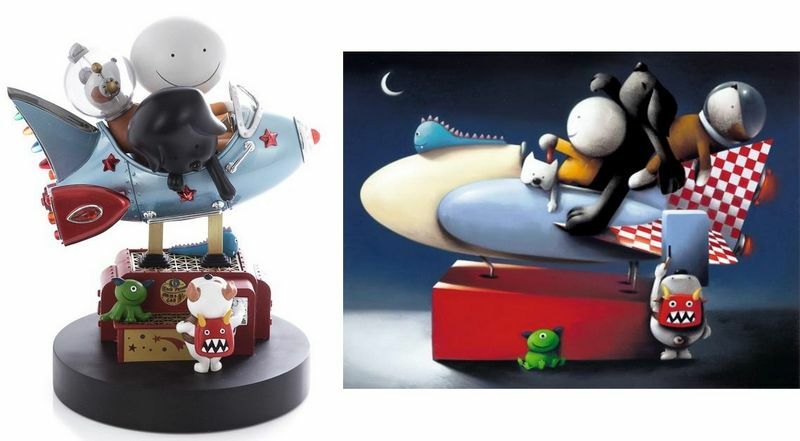 Space Cadets - Sculpture & Picture - unframed - mounted by Doug Hyde // £1,144.00. To celebrate the March 2019 release of the fantastic ‘Space Cadet - Sculpture,’ we are selling in a pair this and the inspiration behind it, Doug’s previously released print of the same name! Anyway, back to the present. Having now seen the sculpture in the flesh and done a side by side comparison, it brings great pleasure to see his artistic vision (of a rather fun image!) in two mediums: a limited edition print and now a super-duper sculpture. Purchasing this set is your way of showing off, you are one of the rare collectors who now has both adorning their favourite room of the house!